Wesbury’s Golf Scramble is the only scramble in the area that caters to senior golfers. While all golfers are welcome, this event especially seeks golfers who are over age 50. 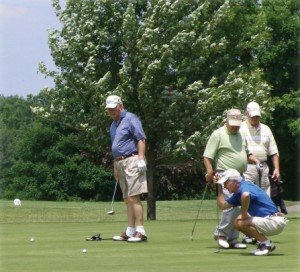 The event takes place at the Meadville Country Club on the third Thursday in June. 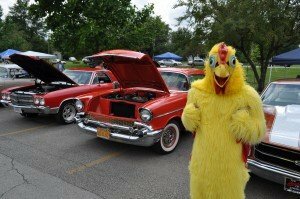 Included are a continental breakfast, boxed lunch on the course, and a picnic dinner. Special give-a-ways and unique prizes are also presented at this event. The scramble is one of three major special events that brings in more than $10,000 annually for The Wesbury Foundation. All proceeds are designated to assist with continual renovations of Grace Rehabilitation and Health Center. We all know someone who amazes us with their talent, generosity and selflessness. They may be a friend, a neighbor, a relative, or someone from your workplace or church. Each year, Wesbury seeks to find extraordinary individuals, aged 65 or over; or extraordinary groups or organizations with members of any age. The nominees are honored by allowing Wesbury to tell their story and applaud their contributions at Annual Senior Tribute Recognition Dinner and Auction held on the second Thursday in October. 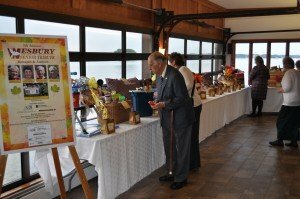 This event is truly inspiring and not only spotlights these unsung heroes, but also serves as a fundraiser for Wesbury’s benevolent care fund, which helps support residents who have outlived their financial resources and require charitable care. Please take a moment and think about those who have made a difference in your life or the life of someone you know. Each November, Wesbury’s Sunset Auxiliary holds a special rummage sale containing only holiday items. Throughout the year, the Auxiliary accepts donations of Christmas decorations, Christmas trees, and other holiday items. All funds benefits the projects of the Sunset Auxiliary. 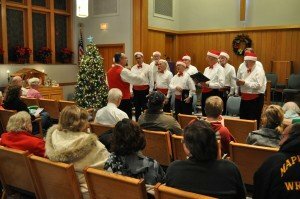 In the evening of the second Friday of December, Wesbury holds a special reception to wish its residents and their families a Merry Christmas. Entertainment is offered throughout both Grace Rehabilitation and Health Center and Cribbs Residential Center for all in attendance. The event is by special invitation only. 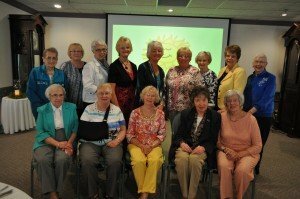 The Sunset Auxiliary is a network of individuals and groups within the Western Pennsylvania Conference of the United Methodist Church, who make friends and raise funds for the residents of Wesbury United Methodist Retirement Community. Liaisons within the churches are known as Key Persons. 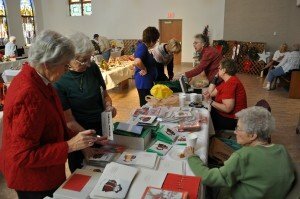 Each year, The Sunset Auxiliary holds a special lunch to recognize their efforts to keep Wesbury in the hearts and minds of the parishioners within the area’s United Methodist Churches. The luncheon attendance is by invitation only.